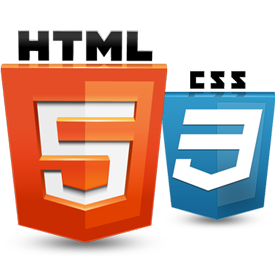 Our skilled HTML5 and CSS3 developers completely remove dependency on flash, third party multimedia players. HTML5 and CSS3 itself comes with its awesome new audio, video tags such as < video >, < audio > and < canvas > elements, now this was never been easy for your audience. Other elements such as < section >, < article >, < header > and < nav >, are ensured to have semantic, simple and clean content. Cascading Style Sheet (CSS3) is mostly used to the appearance and formatting of any document which is written in the markup language. The key point of CSS3 is that it keeps separation in between the content and the presentation. By the help of cascading style sheet you get the markup pages to be in different styles.